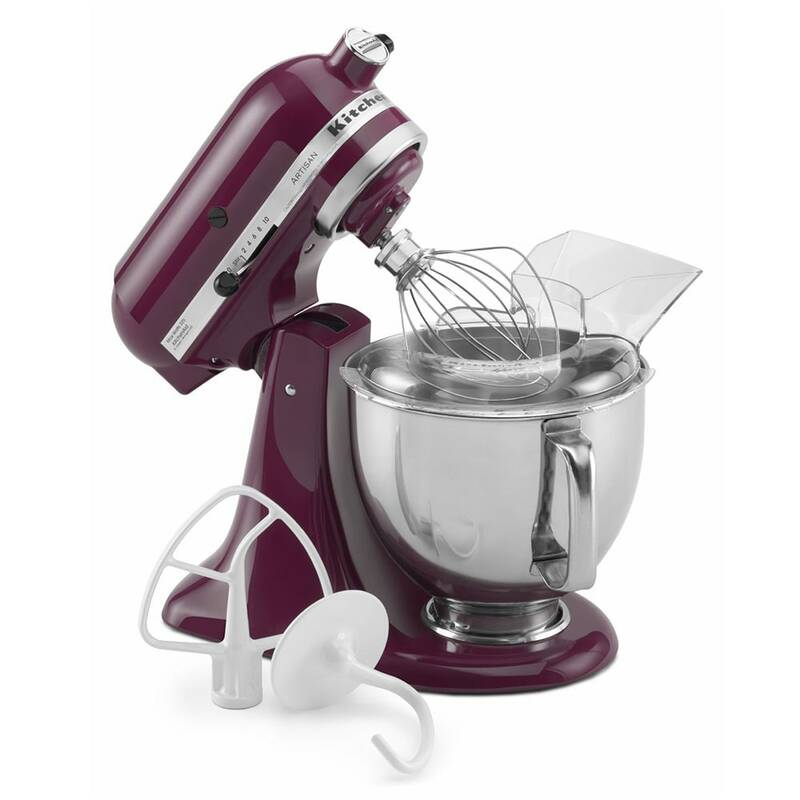 The Artisan® Series five quart stand mixer from KitchenAid has a unique planetary mixing action with 67 touch points, which thoroughly incorporates and mixes ingredients. Included with the mixer are a dishwasher-safe stainless steel bowl, nylon coated flat beater, metal six- wire whip, C-nylon coated dough hook, and one-piece pouring shield. The 10 speed sliding control of the mixer has markings for six different settings, but can be set in between for complete control. Artisan Series 5-quart mixer, 10 speed, tilt back head for easy access to mixture, 1-piece pouring shield with large chute for adding ingredients, includes flat beater, dough hook and wire whip. 325 watts, 120v/60/1ph, Boysenberry. Warranty not valid when used in commercial environment such as a bar or restaurant.